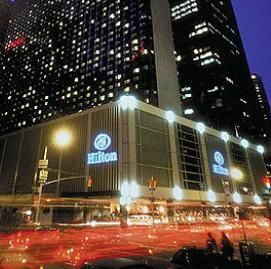 An exclusive private retreat in the heart of Manhattan, Hilton Grand Vacations Club at the Hilton Club offers a spectacular urban getaway perfectly enhanced by the Hilton brand's signature exemplary service and accommodations. This magnificent Manhattan timeshare boasts an ideal location within walking distance of some of the city’s finest restaurants, lounges, museums and concert halls. Savor a glamorous getaway in the City That Never Sleeps for an astonishingly low price when you buy a Hilton Club New York timeshare on the resale market, where you can buy or rent directly from the current owner and save a bundle on developer’s costs and fees. 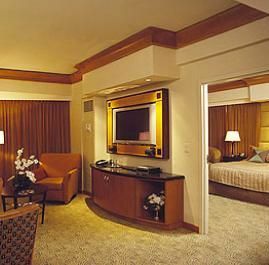 From sophisticated studios to gracious one- and two-bedroom suites, accommodations at Hilton Grand Vacations Club at the Hilton Club are located on two of the upper floors of the Hilton New York in mid-town Manhattan. 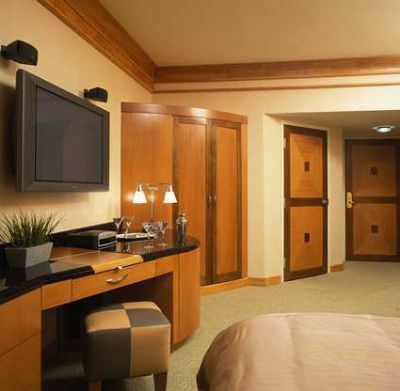 Buying or renting at the Hilton Club opens access to elegantly appointed apartments featuring luxurious furnishings, 42-inch plasma televisions, Bose multimedia systems, in-room safe, mini-fridge and coffee maker. Fine linens and plush robes add the atmosphere of sophisticated luxury and relaxation. Stay connected whether on vacation or business with complimentary high-speed Internet access, pop a movie into the DVD player or chill to some tunes on the iPod/MP3 docking station. Larger units in this Hilton Club New York timeshare have kitchens, and some suites have an oversized tub or shower. Enjoy first-class amenities including access to the exclusive Hilton Club Member Lounge, state-of-the-art 8,000 square foot fitness facility and several delectable eateries and bars. 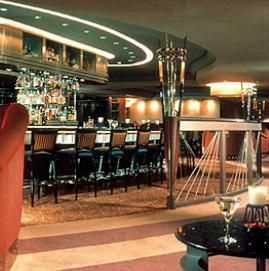 Enjoy a pampering massage or a cocktail in the exclusive guest lounge, fully stocked with wine, beer, snacks and beverages. Around-the-clock room service, valet laundry services and exclusive check-in for Hilton Club guests are just a few of the ways the supremely friendly and helpful staff helps you enjoy your cosmopolitan getaway. Hilton’s Executive Club Specialist is always on hand to assist with any needs, from theater tickets to dinner reservations, and directions to local attractions and events. Leave the car in on-site parking and relax with one of Bridges Bar’s legendary martinis before heading out to enjoy all the Big Apple has to offer. This sophisticated Manhattan timeshare rolls out the red carpet with world class restaurants like New York Marketplace, offering a wide variety of multicultural cuisine, and Etrusca Ristorante, serving up traditional Italian dishes in surroundings that conjure up a cozy Italian village. Enjoy breakfast in the Hilton Club members’ lounge before heading out to experience the cultural, historic and retail highlights of the city. Offering unparalleled access to one of the most sophisticated cities in the world, Hilton Grand Vacations Club at the Hilton Club is ideally situated in the thrilling heart of Manhattan. This Hilton Club New York timeshare puts you a few brisk steps from legendary attractions like Rockefeller Center, the Museum of Modern Art, Carnegie Hall, Radio City Music Hall and Lincoln Center. Browse the designer shops of Fifth Avenue, savor the urban greenery of Central Park or take in a show in the Broadway Theater District. It’s all at your fingertips when you buy or rent accommodation at this elegant, exclusive Manhattan timeshare. Contact Hilton Grand Vacations Club at The Hilton Club Specialist Today!